Buller Coal Limited owns and operates all of Bathurst Resources Limited’s operations on the Buller coal field, including 10,000 hectares of exploration and mining permits, the planned Escarpment Mine project and the operating Cascade mine on the edge of the Denniston Plateau. As the capacity of their West Coast operations increased, Buller Coal explored options and solutions for the transportation of coal via the Port of Westport to the Port of Taranaki in New Plymouth. In particular a facility for the receipt of coal via road and eventually rail transport that would allow for the temporary storage and efficient ship loading of the coal. The solution needed to ensure the highest standards of operational Health and Safety, be economical, and scalable as volumes increase from an initial forecast of 200,000 tonnes of coal per annum to a potential 400,000 tonnes of coal per annum. Brightwater was engaged to manage the Design, Engineering, Procurement and Construction phases of the project. The design and engineering team worked very closely with Buller Coal to ensure that the complex long term requirements for the facility would be met. 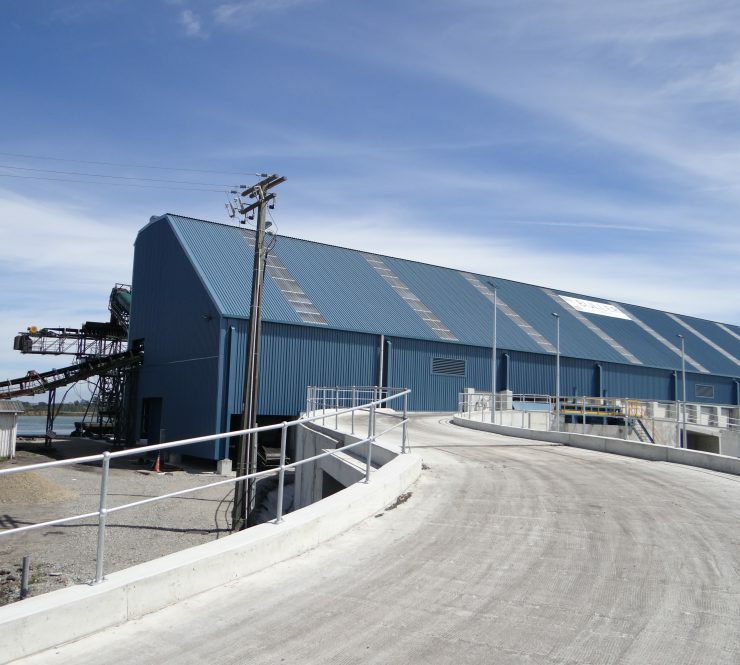 The design included an elevated ramp to allow trucks with tipping trailers to unload through a discharge grizzly into a bay for Front End Loader (FEL) transfer to the stockpile. 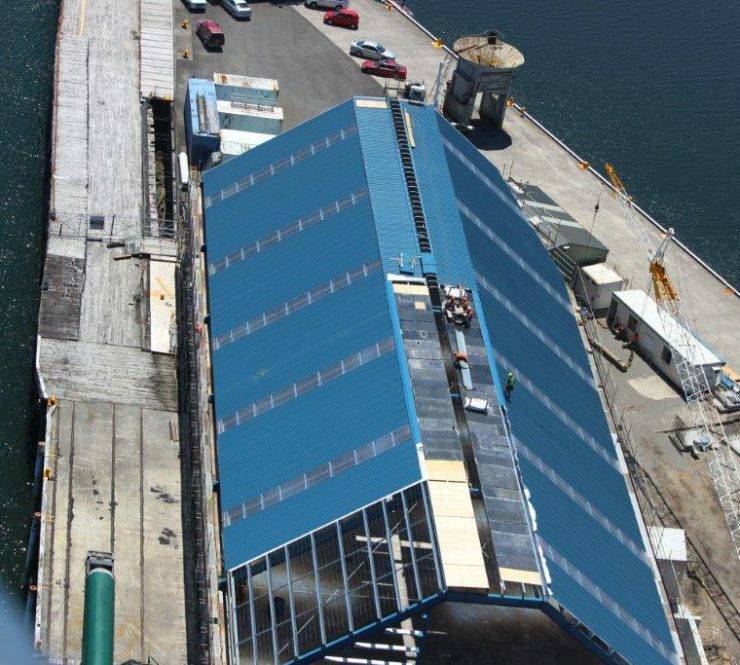 The solution needed to incorporate existing facilities, in particular an existing ship-loading conveyor for off-loading from the facility. 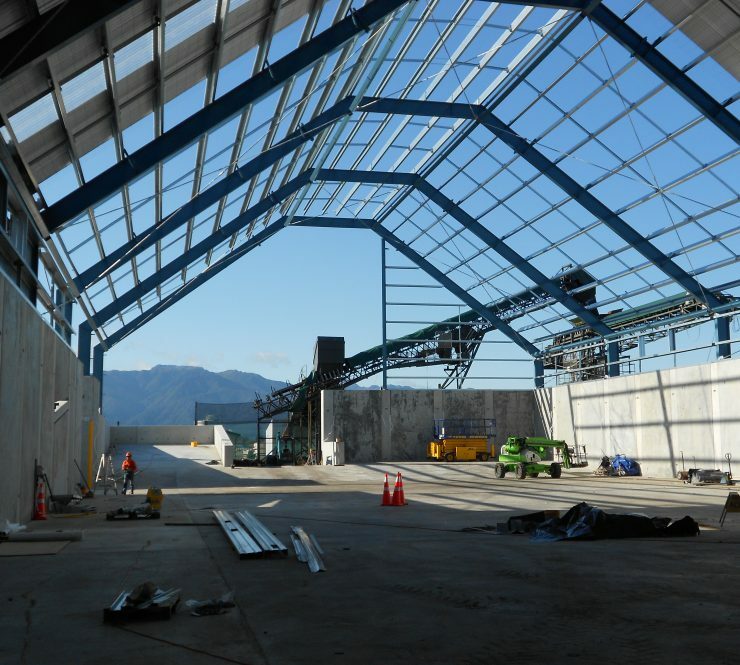 The building had to have an initial operating capacity of +3000 tonnes with a stockpile height up to 5 metres. 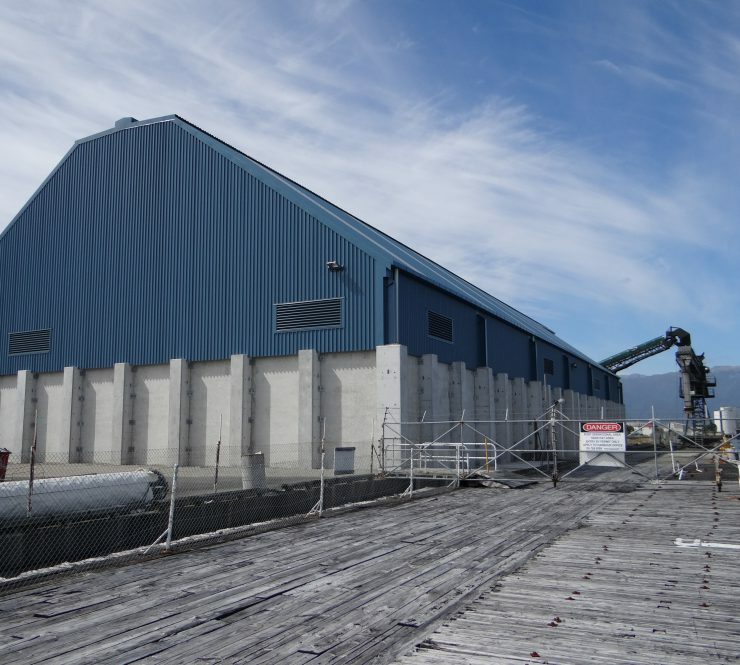 The building was designed to allow for an increased capacity of 9000 tonnes with the introduction of elevated mechanical in-feed and mechanical reclaim. 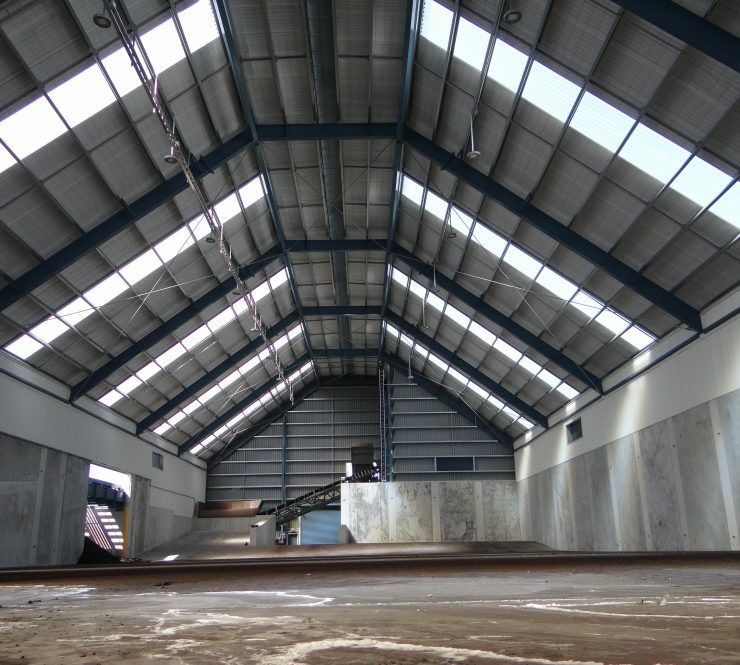 Additional allowances at the site were required for potential growth in capacity and throughput in the short to medium term, which included: additional storage buildings; rail unloading; mechanical reclamation and ship loading.